National Dialogue: P2 Crisis or Opportunity? Architects do it, engineers do it, facilitators do it, and PR specialists do it! Get certified! Prove to your customers, employers, clients, or co-workers that you are a skilled and knowledgeable p2 practitioner. Many of us work in professional isolation, surrounded by other sorts of professionals like engineers, health care specialists, educators, or environmental scientists. When they question our professional judgment, we wonder, "how can I prove that I know what I am doing?" 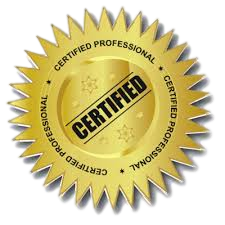 Join us for this introductory webinar as we talk about the IAP2 USA CP3 and MCP3 Certification Programs, the benefits of getting certified, and what it takes to get certified!. Please note: There is a two-stage process for signing up for webinars. The registration confirmation email you will receive contains a link to another web page. Please follow that link and fill in the form to receive your login information. Copyright ©2010-2017 IAP2 USA. All rights reserved.